Your blue orb has sproing power! 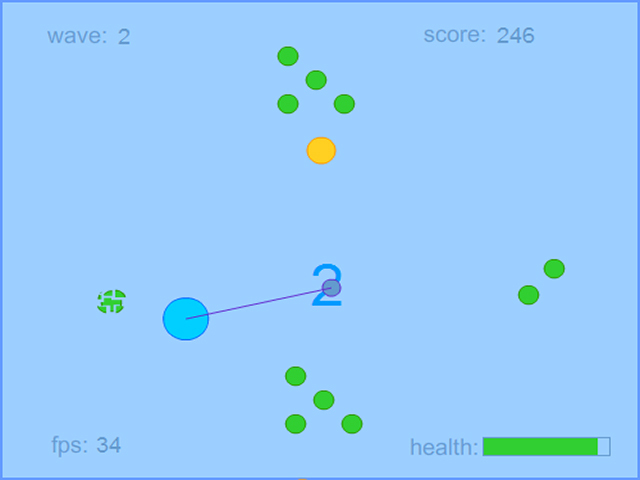 Use this special force to whip the invading green orbs into oblivion in this dynamic arcade game.Destroy green orbs using sproing power!Your blue orb has sproing power! Use this special force to whip the invading green orbs into oblivion in this dynamic arcade game. 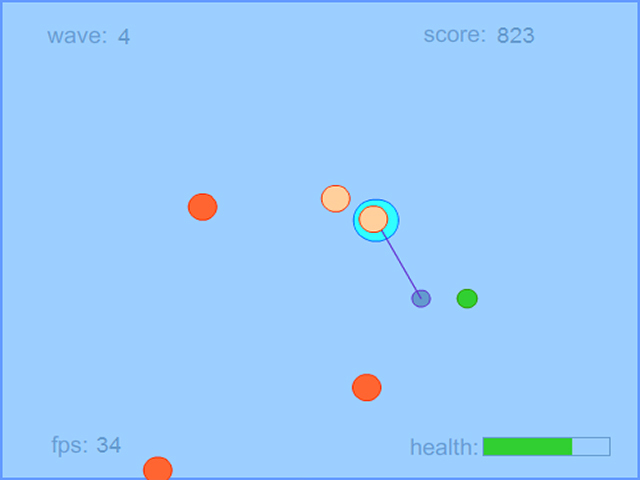 Move the mouse to control your orb and increase your sproing. 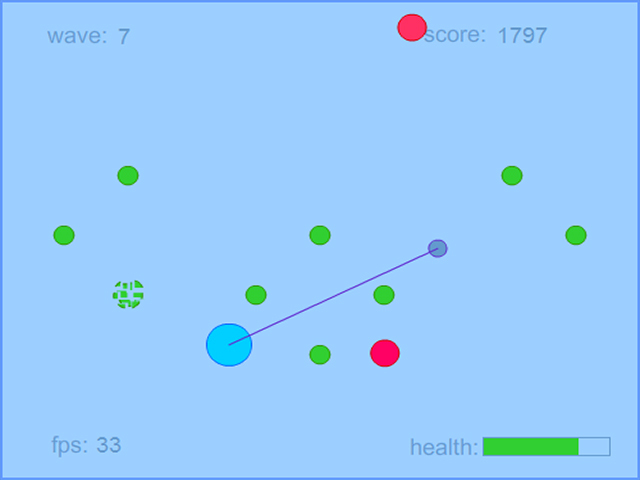 Hit the green orbs with sufficient force or they will ricochet. Destroy multiple green orbs to create combos and earn extra points, but watch out for the non-green orbs. Collect 4 special bonus orbs and master 30 difficult levels. 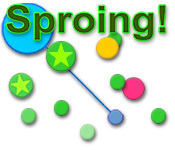 Sproing into action and play online now.